What is energy psychology? How effective is it? Energy psychology works with energy to increase psychological outcomes. Two of the more popular approaches of energy psychology in practice involve tapping along the meridians (energy lines) and mobilizing and balancing energies through the energy centers. Energy psychology approaches that use tapping along the meridians have more controlled studies on their effectiveness than all the somatic or body psychology and psychotherapy approaches combined. In what ways does Integral Somatic Psychology differ from energy psychology approaches? The integrative framework of Integral Somatic Psychology allows for understanding all schools of energy work and energy psychology as special cases that can be integrated into any psychological approach. For those who are already trained in an energy psychology or energy work approach, it provides methods for embodying energies they work with in the physical body. For those who are new to working with energy, it provides a simple model of different energies, an understanding of their physiological and psychological functions, and ways to mobilize them and embody them in the physical body. The basics from Polarity Therapy, Eastern Chakra theory, biodynamic craniosacral therapy, and quantum physics provide the information for working with energies in relationship to the physical body. What is spiritual psychology or psychotherapy? Spiritual psychology or psychotherapy refers to a group of approaches that seek to bring about psychological and physiological transformation on an individual or collective level by connecting the individual to a larger collective entity that is believed to regulate all physiological and psychological processes in individuals and communities. Prayer, meditation, and ritual are examples of common spiritual psychology or psychotherapy practices that can have as their background diverse models of religion or spirituality. Larry Dossey presents considerable scientific evidence on the power of prayer in healing. Is Integral Somatic Psychology a spiritual psychology or psychotherapy? Is it a religious or spiritual approach? In as much as religion and spirituality are well known models of healing and personal development, they have to be included in any integrative theoretical framework such as Integral Somatic Psychology. However, the focus of Integral Somatic Psychology is really on the embodiment of all energies in the individual physical body, whether the energies are divine or mundane, whether from individual or collective bodies or from the connections between them. Therefore, Integral Somatic Psychology cannot be characterized as a religious or spiritual approach. Nor can it be characterized as a spiritual psychology or psychotherapy even though those who practice spiritual psychology or psychotherapy can improve their outcomes by integrating the physical body more explicitly into their approach through it. In the same manner, religious and spiritual development in different religious and spiritual approaches can be enhanced by the embodiment of energies from different levels of the psyche in the individual physical body through it. There are four stages of spiritual development that can be seen, to a greater or lesser extent, in every religion: Seeing and praying to God in everything around oneself as in animism, seeing and relating to God as external and remote entity or a divine pair as in the Old Testament, relating to God as an incarnate human being such as Jesus as in the New Testament, and relating to God as an inseparable unity that contains everything including oneself as in Vedanta in Hinduism. Integral Somatic Psychology offers a framework for embodiment in all stages of religious or spiritual development. On many religious or spiritual paths, the practice is to disidentify with the lower levels of the psyche such as the individual physical and energy bodies and identify one’s awareness instead with the dynamic collective physical and energy bodies or the absolute collective body of pure awareness. While this is a legitimate practice in itself to retrain one’s awareness to become familiar with the less familiar planes of one’s existence, the view in Integral Somatic Psychology is that the embodiment of energies of these higher planes in the individual physical body can help in a more enduring grasp of oneself as the higher levels of one’s psyche, prevent learned dissociation from the lower levels of the psyche, and enhance the benefits of religious or spiritual practice in all stages of religious or spiritual development. What are the four levels of the psyche or the four bodies in the Integral Somatic Psychology framework? What is the history of the work with different levels of the psyche or the different bodies in Psychology? How does Integral Somatic Psychology work with the embodiment of the four levels or four bodies of the psyche? The levels of a person’s psyche can be called the individual physical body, the individual energy body, the dynamic collective physical and energy bodies that the individual physical and energy bodies are parts of, and the absolute collective body of pure awareness that is the basis of all the individual and collective bodies or levels of the psyche. Alternatively, the levels can also be called the individual gross and subtle bodies, the dynamic collective gross and subtle bodies that the individual gross and subtle bodies are parts of, and the absolute collective body of pure awareness that is the substratum of all the individual and collective bodies, where the subtle and the gross bodies differ simply by the size of the particles they are made up of, borrowing the terminology from Eastern psychology that is supported by Einstein’s recognition that matter and energy are equivalent in his well-known equation, E = MC2. Therapeutic modalities differ with respect to the levels of the psyche they specialize in. Psychology, for the most part, is focused on one aspect of the physical body, the brain. Somatic or body psychologies and psychotherapies on the fringe have tried to expand this focus to include the rest of the physical body. Of late, mainstream psychology has shown more interest in embodying more of the physical body due to the emerging evidence of better outcomes from its inclusion. However, relative to what is possible with respect to the physical body, embodiment in mainstream psychology has much scope for improvement. Therefore, level one of embodiment work in Integral Somatic Psychology is focused on improving clinical outcomes through greater integration of the individual’s physical body into all psychological approaches. Integral Somatic Psychology’s embodiment strategies on this level of the psyche are based on extensive knowledge of how the physical body is involved in generating as well as defending against emotions and other psychological experiences from over a hundred years of scientific research in academic circles and clinical research in body psychotherapy traditions; and on a simple model of regulation of the physical body based on findings from medical sciences and somatic therapies. Greater embodiment of all basic and complex psychological experiences in the physical body is the foundation work in Integral Somatic Psychology on which the subsequent work of embodying the other levels of the psyche is built. Level two of embodiment work in Integral Somatic Psychology is an attempt to increase clinical outcomes through greater integration of energy into psychological work. Called the energy body in the West or the individual subtle body in the East, the integration of this level of the psyche in mainstream psychology at present is even more limited. Schools of energy work operate primarily outside of the perimeter of psychology with most of them focused on the regulation of the energy body through touch or movement. Schools of energy work and energy psychology on the fringe of psychology, using constructs such as energy centers, elements, and meridians, are also by and large focused more on symptom resolution through regulation of the energy body than on work with psychological processes. They do not fully exploit the available knowledge on the role of the energy body in either physiological or psychological regulation. And, most of the time, the work with energy such as energy center work is disembodied or not adequately related to the physical body. There is greater resistance in general to the integration of the energy body than the physical body, in psychology as well as science. This despite there being more controlled research studies on the effectiveness of simple energy psychology methods that use tapping along the meridians (energy lines) than on the effectiveness of all the somatic or body psychology and psychotherapy systems combined. There are probably several understandable reasons for this resistance. The quantum level energy body is hard to measure at the sub-atomic level and therefore easy to deny, as was the case in science with quantum physics till it was w firmly established. Even though science and psychology now allow for the quantum level of the physical body, they continue to be reluctant in allowing for the possibility of another quantum level body interacting and influencing the physical body at the sub-atomic level. Such allowance might open the door for the concept of the soul present in all religions; possibly an anathema to the Western scientific establishment that had to struggle long and hard against religious dogma to establish itself. Resistance to the possibility of reincarnation in Western religions might also contribute another layer of resistance in the West to the idea of a separate subtle or energy body that is nevertheless a part of all Western and Eastern religions. Level two of embodiment work in Integral Somatic Psychology is an attempt to increase clinical outcomes through greater embodiment of the next level of the psyche, the energy body. Findings from quantum physics and scientific research on reincarnation are used to establish the existence of the energy body and its relationship to the physical body. Knowledge from energy work and energy psychology schools from the East as well as the West are used to understand the physiological and psychological functions of the different layers of the energy body and how to access, regulate, and integrate them into the physical body during psychological work, through constructs such energy centers, elements, and zones. The work with energy in Integral Somatic Psychology is through and in close relationship to the physical body, using the expertise acquired from level one of embodiment work with the physical body. Level three of embodiment work in Integral Somatic Psychology has as its goal improvement in clinical outcomes through greater integration of dynamic collective physical and energy bodies into a person’s individual’s physiological and psychological processes. In Western as well as Eastern psychology, there are different traditions that acknowledge and work with collective physical and energetic influences on an individual’s physiology and psychology. Typically, both the collective physical and energy bodies that have complex relationships with each other are conceptualized as having many levels where each level is made up of all the levels below it. For example, both the psychology of Jung from the West and Advaita Vedanta from the East conceptualize the collective physical and energy bodies as the collective raw material in the universe and the collective universal intelligence that gives it shape as well as regulation. That is, the collective energy body is likened to psyche and the collective physical body to matter. In both systems, the collective physical and energy bodies in turn form a collective body of unity in which one cannot be separated from the other, as particle and wave cannot be separated from each other in a loose quantum physics analogy. This implies that the psyche is matter and the matter is psyche and the two are in an inseparable relationship; and that they must be made of the same substance to be able to influence each other. In both systems, the influence of the collective on the individual recognized as paramount. There are many traditions inside and outside of psychology that work with various collective bodies and their relationships to the individual bodies: Jungian and archetypal psychologies, Ken Wilber’s Integral Psychology, Eastern psychologies such as Buddhist psychologies and Sri Aurobindo’s Integral Yoga Psychology, and transpersonal psychologies on the fringe of Western psychology; energy work systems such as Reiki, bodywork systems such as biodynamic craniosacral therapy, movement therapies such as Qi Gong and Tai Chi, astrology, shamanism, and ritual practices; schools of meditation, spirituality, and mysticism; religions, politics, ideologies, movements that promote causes such world peace or a better environment, and movements that seek to counter injustice such as racism and religious intolerance. However, as with work with the individual energy body, most work that is done at the level of collective physical and energy bodies especially in psychology is not embodied enough in the individual physical and energy bodies. Therefore, in level three of its embodiment work, Integral Somatic Psychology seeks to demonstrate ways to improve clinical outcomes through greater embodiment of the energies from the collective physical and energy bodies in the individual’s physical and energy bodies, and through the strengthening of the connections between these collective and the individual levels of the psyche. The knowledge from Jungian and archetypal psychologies, Integral Psychology, models of transpersonal psychology, Buddhism and Advaita Vedanta, theories of religions, mysticism and spirituality, sociology, social and cultural anthropology, and quantum physics forms the theoretical basis for the third level of the psyche in Integral Somatic Psychology. The knowledge about how to embody the individual physical and energy bodies from levels one and two of embodiment work in Integral Somatic Psychology forms one basis for grounding the energies of the collective physical and energy bodies in the individual physical and energy bodies. (In fact, level two of embodiment work in Integral Somatic Psychology already involves connecting the individual energy body to the archetypal energies of the collective energy body associated with each of the five lower energy centers). The knowledge of the physiological, psychological, and spiritual functions of the higher energy centers at the third eye and the crown and their relationships to the lower energy centers, and how to work with the two higher centers and integrate their energies into the individual’s physical and energy bodies provides the second basis. The knowledge of the multiple levels of resonance, between the individual bodies and between the individual and the collective bodies, and how to facilitate these various connections through resonance to increase their interactions provides the third basis. The fourth level of the psyche in Integral Somatic Psychology is defined as an unlimited, independent, and self-aware body of pure awareness that is the basis of all things animate and inanimate. It is established philosophically (through traditions such monism and idealism), scientifically (in theory through quantum physics and in empirical evidence through brief as well as enduring experiences of not just mystics but also ordinary people in all religious traditions and all walks of life), and spiritually (through Advaita Vedanta from Hinduism, Mahayana Buddhism, Sufism in Islam, Kabbalah in Judaism, and Christian Science and Thomism in Christianity). Mindfulness approaches in psychology typically work with awareness in relation to experiences in the brain or the physical body and understand the benefits that accrue from such practices as having to do with improvement in the functioning of specific brain regions such as the prefrontal cortex. However, the typical aim of mindfulness, meditation, and contemplative practices on spiritual paths is the discrimination of awareness from all aspects of experience on all levels of the dynamic psyche: the individual physical and energy bodies, the dynamic collective physical and energy bodies, and the one dynamic collective body of unity they in turn form due to their inherent inseparability. The goal in Advaita Vedanta, for example, is the discrimination of all experiences on all levels of the dynamic psyche as objects of one’s awareness and the identification with the pure awareness that remains; and the subsequent realization of the inseparability of the absolute collective body pure awareness from all aspects of experience and all levels of the psyche. 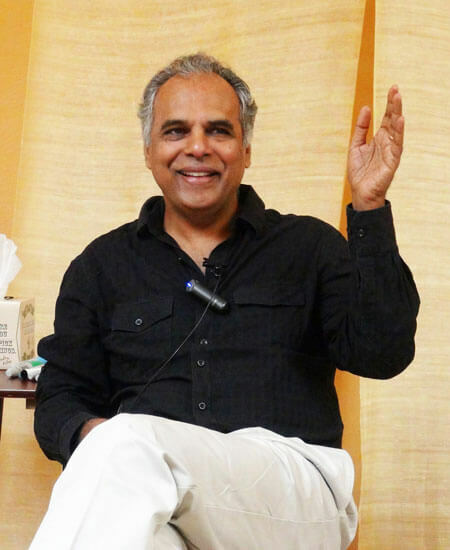 Integral Somatic Psychology can be helpful whether the goal is simply to increase mindfulness in relation to ordinary experiences as in psychology (lower mindfulness) or to grasp one’s deeper identity with the absolute collective body of pure awareness as in Advaita Vedanta (higher mindfulness). The ability to tolerate opposites in experience on each level of the dynamic psyche increases one’s ability to maintain discrimination of one’s awareness from experiences that arise on each level of the psyche. Levels one, two, and three of embodiment work in Integral Somatic Psychology, because they develop the capacity to tolerate opposites in experience on the all levels of the dynamic psyche through the physical body container, contribute to the ability to discriminate one’s pure awareness, the fourth and final level of the psyche, from all experiences on other levels of the psyche. Therefore, level one, two, and three of embodiment work in Integral Somatic Psychology can help in acquiring lower as well as higher mindfulness as defined above. The fourth level of embodiment work in Integral Somatic Psychology involves accessing and working with the energies of the two higher energy centers at the third eye and the crown and bringing them all the way down into the physical body with a number of benefits in mind. The two higher energy centers at the crown and the third eye have a lot to do with the perspective of the absolute collective body of pure awareness and the understanding of its relationship to other levels of the psyche. Integral Somatic Psychology, with methods for working with these two higher energy centers and integrating their energies into the individual’s physical and energy bodies, offers another way of greater differentiating the awareness of the witness consciousness from and all experiences every level of the dynamic psyche with the potential benefits of both lower and higher mindfulness. This includes the level of the brain in the physical body that science is mostly concerned with. One of the drawbacks of mindfulness, meditation, and other contemplative practices when they are focused on the higher energy centers is the learned disconnect or dissociation from lower and more concrete levels of the psyche such as the individual’s physical and energy bodies. Integral Somatic Psychology safeguards against those limitations because it works closely with these lower level bodies as it works with the energies of from the two higher energy centers. Differentiation of one’s awareness from experiences on all levels of the dynamic psyche or identification of oneself with the absolute collective body of pure awareness are not the only benefits that can accrue from level four of embodiment work in Integral Somatic Psychology. The energies that come through the two higher centers at the third eye and the crown are understood as the fundamental energies or source materials that differentiate into all successive collective and individual physical and energy bodies. Because they provide the material building blocks for all levels of the dynamic psyche, the fourth level of embodiment work in Integral Somatic Psychology can also contribute significantly to level one, two, and three of embodiment work with the individual and collective physical and energy bodies. The energies through the two higher centers also bring with them the intelligence with which the universe is designed and regulated from top to bottom. When level four of embodiment work facilitates the embodiment of these energies on lower levels of the psyche such as the brain, it can result in intuition or inspiration for scientific, psychological, artistic, social, or spiritual knowledge. The higher energies accessed through the two higher centers are also theorized as possessing the blueprints of an individual’s life purpose as well as the individual’s (spiritual) connections to the whole. Integral Somatic Psychology, because it works to embody these energies in the individual physical and energy bodies, enhances the likelihood of embodied life purpose and embodied spirituality. It increases the possibility of the transformation of the physical body into a crystalline image of the properties of the higher energy centers at the third eye and the crown. When that happens, as theorized by Sri Aurobindo in Integral Yoga Psychology, the spiritual understanding of the relationship between the individual and the whole can be realized in the felt resonant sense of the physical body in relation to the environment, as opposed to just having a cognitive grasp of the possibility of it.